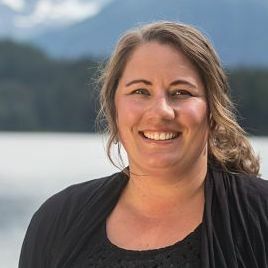 Born and raised on a farm in central Ohio, Amanda moved to Juneau in 2004 to attend UAS. Although she had never been to Alaska, she was instantly hooked and never looked back. The beautiful campus, amazing professors, friendly staff and small class size allowed her to excel in her studies and graduate with a BLA. Now Amanda takes her passion of UAS all over the state talking to prospective students about the amazing opportunities that UAS can offer them. In her spare time, Amanda enjoys speeding time with her family, camping, fishing, and skating with the Juneau Rollergirls.